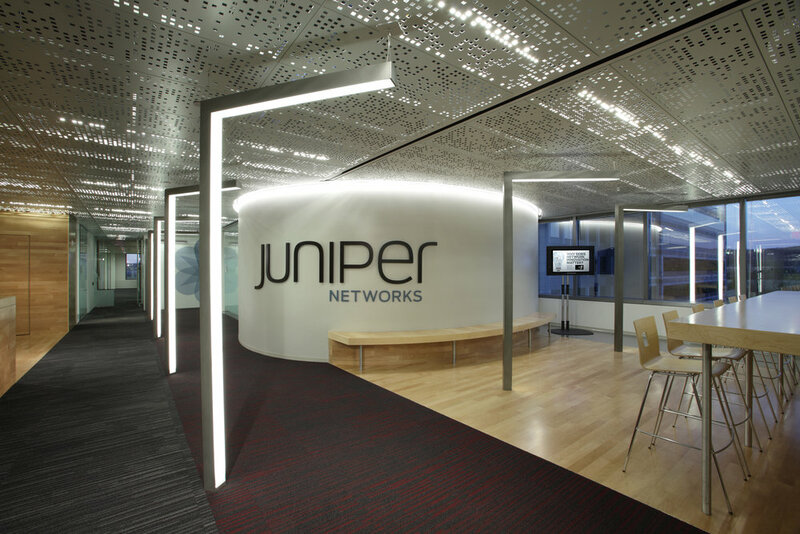 Juniper Innovation Center — Valerio Dewalt Train Associates, Inc. 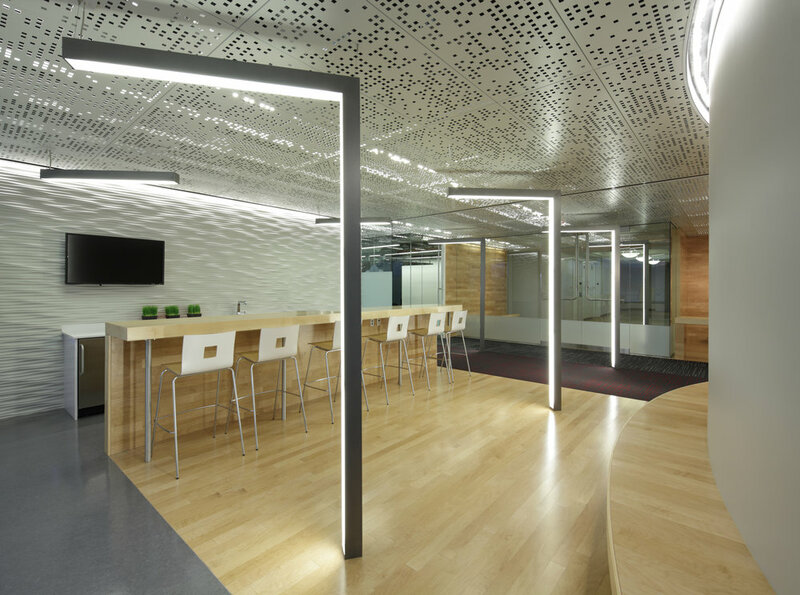 The Innovation Center designed for Juniper Networks is a 15,000 SF tenant improvement project and east coast showcase of the company’s unique and innovative culture. The new space includes 5,000 SF of public interface zones that include collaborative meeting spaces, product showcase, a demonstration lab and cyber café. An open lab serves as the main showcase where new products may be exhibited to clients and partners. Also included in the project scope is a 10,000SF open work environment complete with huddle rooms. Just within the front doors are flexible spaces where staff can collaborate with partners and clients, an innovation in Juniper’s traditional office paradigm. Strong wood volumes define welcome and leisure zones and glass walls act as semi-visible spatial buffers. The procession through the office is heightened through the use of a spine of custom light towers and a perforated ceiling tile that generates a cinematic filtering of light. Graphic films were developed to complement the ceiling tile and produce various levels of transparency within the office environment. The patterns and a curated color palette are incorporated to truly embed the Juniper brand identity every layer of the space.